I am in a state of duality. I am not sure about which stories to tell, what to opine and what to ignore. All stories seem same except for my yoga sojourn. I am not too much into planning and plotting so it does not really surprise me to have decided on a stay in Yoga Ashram two months back. I was tired, exhausted, in extreme pain and frustrated. I was just going through worst year of my life and I needed an escape route desperately. Nothing was going my way and I had totally excluded myself from any sort of social connections. Additionally, my intrinsic nature prevents me from sharing my fragile feelings. So bottled up feelings coupled with crippling state of reality and terrible joints pain. 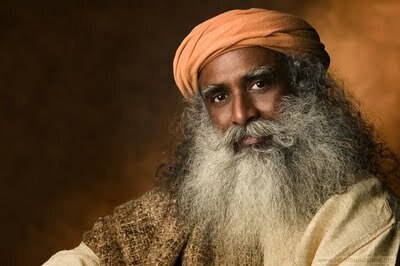 Consequently I ran away to Isha Foundation, Coimbatore. My dear friend Rajiv’s blinding faith in the Ashram further boosted my decision. Honestly, I had no inkling of what I was signing up for when I headed for my yoga voyage. I wanted to learn yoga, Asanas, meditation, pranayam and anything that could help me in subsiding my chronic pain. The idea was also to remain away from the cacophony of my surrounding. Thankfully, there was no internet, newspapers and endless mobile usage; in short I was forced to stay away from all of my addictions. I was enrolled for two programs, Hath Yoga & Bhav Spandan Program (BSP). My first brush with Isha Yoga was in 2009 when I had attended their Sambhavi Mahamudra (Inner Engineering) program. Though, it did seem beneficial but I could not continue it for more than two months. Purely my fault! Nevertheless, I was here to rectify my mistake and go a notch above. I had expected to find clean air, picturesque location, solitude and a break from the tedium of daily life and I must say, I got all these and more. Hath yoga was 3 days’ workshop introducing us to Sun Salutation & various other yoga Asanas. I was pushed to the limits. Each and every body part was aching and yet I could not have felt more joy. Participating in each activity was compulsory and we were supposed to wake up by 4 in the morning. It definitely seemed tough initially when you are accustomed to sleeping by 2-3 in the night. In that sense, this program was unlike any common notion of a yoga holiday or retreat. But I was glad, programme was designed that way. My body that was practically inactive for last 3-4 years started to find its rhythm back. The pain was inevitably sweet. The food offered in the ashram was enormously healthy, practically oil-free. Sharing your meal with more than 200 participants was a completely different experience. Most of the participants were from Tamil Nadu and the best part was interacting with them. There was language problem and not many were proficient in English and that made the entire communication even more interesting. It was fun using broken English, sign language, gestures, nod and what not, to convey the message. The Hath Yoga program was in Tamil and I was more like an outsider there but in hindsight, I could not have made a better choice. I received wonderful help there whenever I stumbled because of language barriers. People were genuine, warm and never shied away from offering help. In fact, I have a new found respect for Tamil natives. The BSP program was a different concept altogether. It is about letting go of whatever baggages you are carrying. The structure of the program does not allow participants much to reveal but it is worth attending if you can. I ended up spending close to one month in the Ashram. I found myself totally immersed in yoga, meditation; chanting and you don’t really feel like coming back. To my utter surprise, things that were integral part of my life like newspaper, internet and mobile, ceased to matter. They just did not matter. Things previously considered important were actually no more that important. Staying in a dormitory with tens & hundreds of other people was something I can never forget. Lights off at 10 P.M sharp and waking up at 4 o’ clock in the morning; it felt so so good. How can I forget about the meals? I doubt, I ever had a chance to eat healthier foods than what we were being offered at Isha Biksha Hall. It was delicious, sumptuous and completely sattvic food. Isha Foundation is nestled in the foothills of the pristine Velliangiri Hills so in effect you not only get to receive best of the Ashram but also find an opportunity to soak the beauty of Mother Nature. It could not be more soothing. I cannot finish without mentioning the wonderful people I met at Isha. I had got a rare chance to make new friends and I did not miss a single opportunity. What more, many of them are in constant touch. Total bliss! It was definitely one of the best thing my wayward spirit has ever done in life. I am feeling far better emotionally, physically and mentally. Throughout the month as I practiced, chanted, relaxed, breathed, meditated, worked and ate with thousand others, I was learning that all I needed to really learn and to do was simply be myself. My belief in the theory that if I could just allow myself to be, then everything else would follow perfectly, was further reinforced. It is really okay to be whoever you are. And as Henry David Thoreau would say, “Our life is frittered away by detail… simplify, simplify, simplify!… Simplicity of life and elevation of purpose”.